Twitter. has. changed. my. teaching. About a year ago, I began to hate Facebook for the unnecessary intimate details I read daily about everyone I knew. Around that same time, I began to enjoy Instagram for the simplicity of a picture with a caption. But now Twitter is becoming my new obsession for its combination of the strengths of other social media: simplicity (just 140 characters) and access to everyone and everything. My school corporation (and especially my building principal) really encouraged all teachers to create a Twitter profile at the beginning of the year, "because it is leading the new wave of professional development in education." I was skeptical. I pictured all the celebrity twitter accounts that middle school students flock towards and I couldn't imagine what I would gain from participating. I had recently attended Lorinda Kline's presentation "Twitter 101" at the local (AND AMAZING) E3Tech conference where I learned the basics of what Twitter has to offer and I created my account. However, my principal really peaked my curiosity with his avid endorsement of using social media as a tool. I dove in. Twitter Chats: Join in all types of real-time online conversations taking place on twitter between educators. A chat will be scheduled ahead of time by a moderator who will then tweet out questions at specific intervals. You can "lurk" (read along without participating) or tweet answers back and reply to others. Chats are some of the best ways to get new ideas, share your observations and also connect with dozens of educators, administrators and educational gurus around the world. Read this to understand how to participate and look over this list to find some chats you might be interested in! 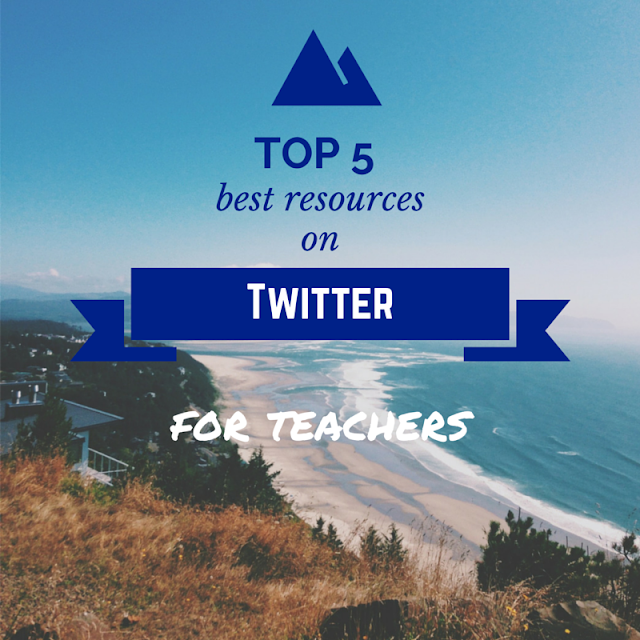 Articles: Many educators will send out links to what they have recently read. Instantly, you have easy access to multiple books and articles that come highly recommended. Here is one that I have read recently thanks to Twitter. Inspiration & Encouragement: When you are feeling discouraged or frustrated, Twitter is full of funny pictures, quotes, and memes regarding our jobs and problems. There are also an unlimited number of quotes about education that serve as a great reminder in the midst of all the chaos. This one really stuck out to me. Blog Updates: If you enjoy reading blogs (she says on her blogpost...) then Twitter is great way to get notifications when your favorite bloggers write a new post. Many bloggers will tweet a link to a new post (like my favorite blogger, Maris, does). And many "Tweeps" (people on twitter) will have a link to their blog in their profile (like you see here on Allison's page), so you might even find brand new blogs to check out. Conference Snippets: Have you ever wished you could attend a professional development conference but you were stuck at home instead? Thanks to Twitter, many times you can follow what is going on by reading tweets with a hashtag that represent that conference. People who did attend might quote speakers, post pictures, or relay their reflections for the benefit of everyone who had to miss out. Search hashtags like #campmusicuentos, #iste2015, #allwrite and #e3tech and read what's been going on. Summer is a perfect time to get away from the paperwork, grading, phone calls, and late nights associated with teaching. Even while traveling, spending time with family, attending or ditching a conference here and there, and spending some time near the water everyone can still find some time to create a profile on Twitter and begin to use these suggestions to move from "denial" to "curiosity." Start now! You never know what you may find and how it may positively affect your teaching this coming fall. Tweet away future "tweachers"! I agree! 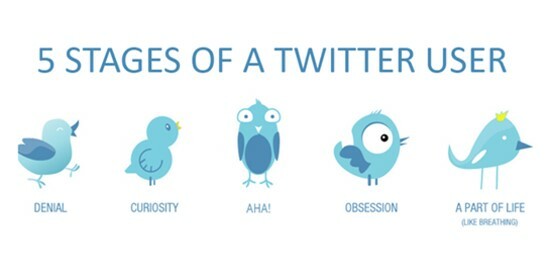 Twitter has been a game changer for me and I think I am at the obsession phase. Thank you for the mention!